Nebraska is one of 26 states as of 2009 that accept holographic wills if they meet certain requirements. A holographic will is one handwritten by the testator, or the person who is making it. 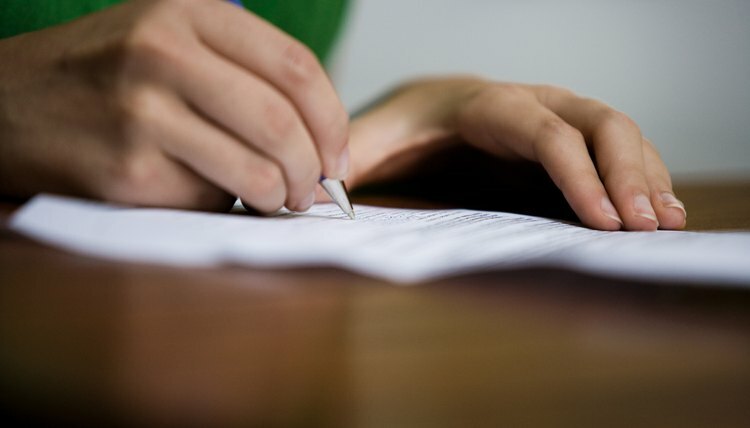 If you handwrite your will, it may be to your advantage to have an attorney look it over to make sure it achieves everything you intend so that the probate court will not have problems interpreting it after your death. Your entire will must be in your handwriting in Nebraska for all of it to be valid. If there are any printed or typewritten portions, those portions will be ignored under Section 30-2328 of the Nebraska Revised Statutes. Your will must be signed by you. If you handwrite all your provisions, then forget to sign it, your will is not legal. Since 1998, however, Nebraska has a provision that if you write only your initials, it's considered as valid as signing your entire name. Holographic wills do not have to be witnessed in Nebraska. However, if you do have yours signed by witnesses, it will not invalidate it and might possibly lend it credibility if anyone tries to dispute it. The dating of your holographic will is the vaguest of Nebraska’s requirements. Ideally, you should include the entire date in your handwriting. Since 1993, however, if you write only the month and the year, that is accepted as enough. If you neglect to date your will, this might not invalidate it if you have no other will or if the terms of your holographic will are reasonably similar to another will you have made. Another possibility accepted by Nebraska is that the contents of the will can establish the date. For instance, if your will bequeaths a car that you owned in 2009 but not in 2010, then Nebraska will infer that you made your will in 2009. Section 30-2328 of the Nebraska Revised Statutes also allows “extrinsic circumstances” or “other evidence” to determine a date, but, of course, the best thing to do is make sure you date your will in the first place. Mississippi covers most eventualities in its laws regarding wills, often to a complex extent. Any person 18 years of age or older can make a legal will in Mississippi if they are of sound mind, but how they can do so -- and the potential for some provisions to be overturned -- vary according to circumstance. Separation is Virginia's version of a no-fault divorce, but the state is not very strict about its requirements. Other than the duration of your separation, Virginia imposes few rules for its terms. You don't have to file anything with the court to begin the separation period, and a written agreement between you and your spouse is optional. Is a Holographic Will Legal in Texas? Are Handwritten Wills Legal in South Carolina?